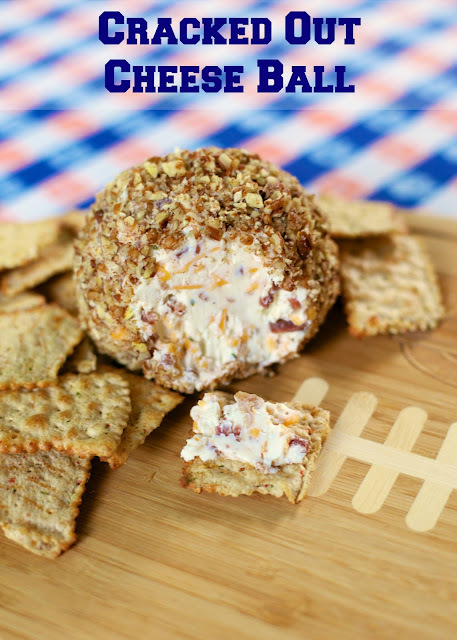 Cracked Out Cheese Ball - easy cheese ball recipe loaded with cheddar, bacon and ranch. Roll cheese ball in pecans. This is always one of the first things to go!! Great for parties and tailgates!! 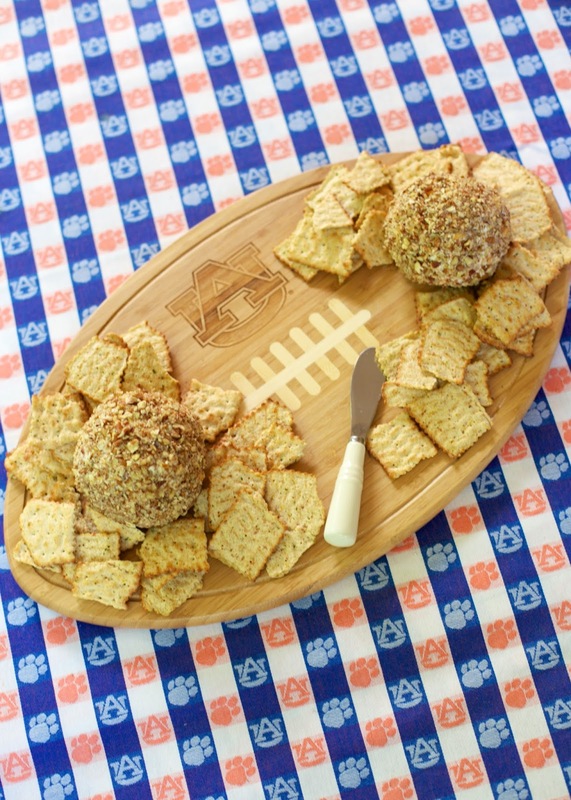 Stop what you are doing and make this cheese ball! It is AMAZING! I might have eaten the whole thing by myself. Well, almost by myself. I shared a little with Chicken Legs and he LOVED it too! This can be made several days in advance and stored in the refrigerator until you are ready to serve it. Don't skip rolling the cheese ball in the chopped pecans. It really adds tons of great flavor to the cheese ball. We ate this with Wheat Thins Veggie Chips. We discovered the chips on a Southwest flight and went straight to the grocery store to stock up on them. If you don't want to use the Wheat Thins Toasted Veggie Chips for some crazy reason, any cracker will work fine. Combine cream cheese, Ranch mix, cheddar cheese and bacon. Divide mixture in half. Shape each half into a ball. Roll each ball into chopped pecans. Wrap in plastic wrap and refrigerate until ready to serve. You sound like me! I have no self control around this cheese ball! So glad to hear you enjoyed it.